Posted on January 24, 2014 by dglassassociates. 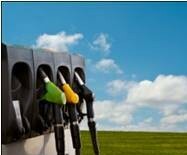 This entry was posted in Biodiesel, Ethanol, International, Low Carbon Fuel Standards, News, US Renewable Fuel Standard. Bookmark the permalink.